A fantastic round for range use, and specified exactly for that purpose by Speer, who produces this round on purpose to provide an accurate, low smoke powder that will help you stay on target during long range sessions without having to worry about the increased cost of shooting as ammunition prices rise. 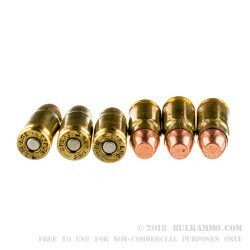 This is their Clean Fire Total Metal jacket projectile inside of a premium brass cartridge casing that offers a Boxer primer to ensure hand loaders and hoarders alike can keep the brass in preparation for their reloading sessions. 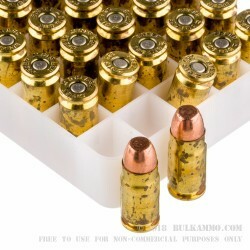 This is a 1000 round case lot of .357 Sig ammunition in a 125 grain projectile buildout with a potent load, and exceptional reliability. 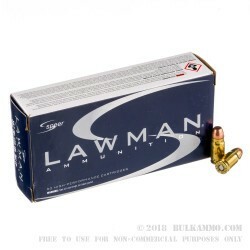 The functionality and reliability of this line of ammunition is legendary and is one of the reasons that Speer continually ranks in the top 3 producers of law enforcement contract supply ammunition year after year. In fact, it’s rare that there is a year in the recent past, when Speer is not the top producer by volume of contracts and volume of ammunition specifically made for law enforcement shooters. 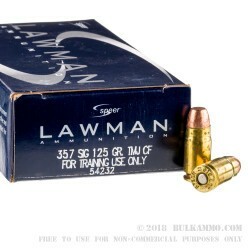 This commitment to LE shows in their production choices, including this line (LAWMAN).